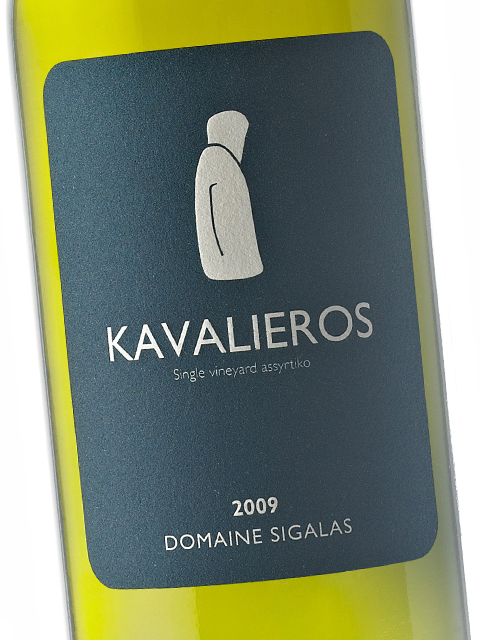 Perhaps the best vineyard of Domaine Sigalas is located in Imerovigli in the north part of the volcanic island of Santorini. 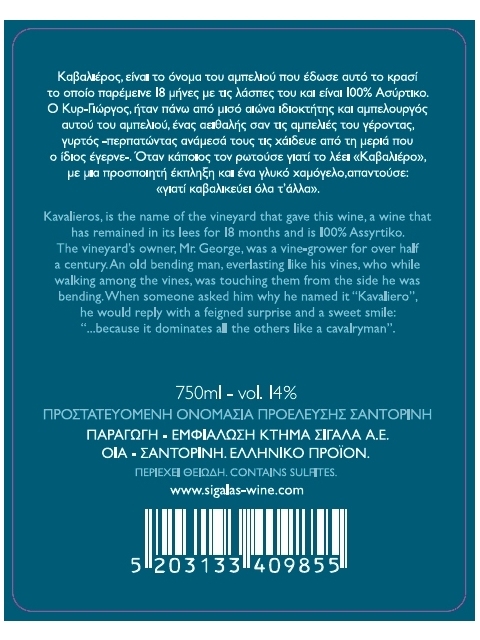 It is called "Kavalieros" and gives its name to the corresponding thrilling wine. The wine is always released mature, having remained for 18 months in the tank over fine lees. 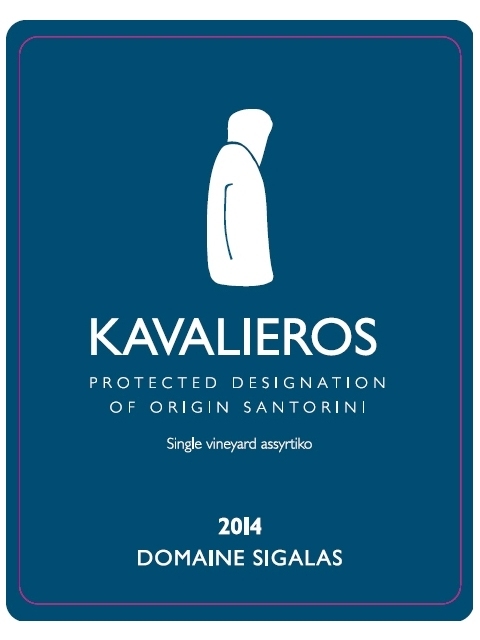 The age-old profylloxera Assyrtiko vines of Kavalieros provide excellent grapes; this combined with the non-interventional winemaking of the producer contribute to a crystal-clear wine offering all features that have made Santorini worldwide known for its unique terroir. 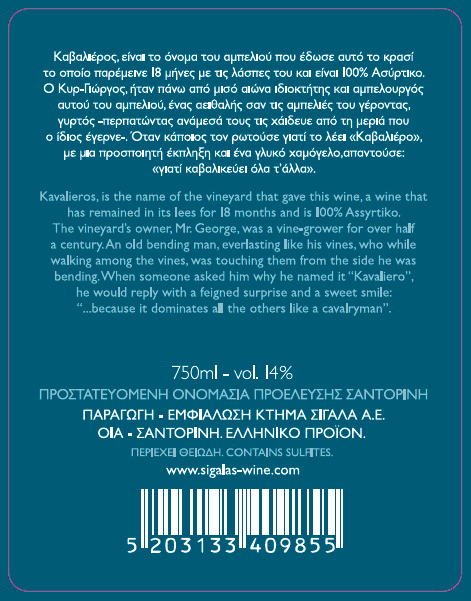 The vineyard was named by the old vine grower who took care of it before the property passed on to Sigalas, because the vine leaves "cover" the remaining plants (‘Kavalikevo’ in Greek). Nerve, strength, steely acidity and a unique mineral and salty sensation, create a memorable structural wine with a body that makes it an ideal pairing to demanding dishes from shellfish and meaty fishes, to meat and poultry. On the top of it, the Sur Lie method has given the wine a buttery feel and depth, while its maturation has contributed additional complexity. 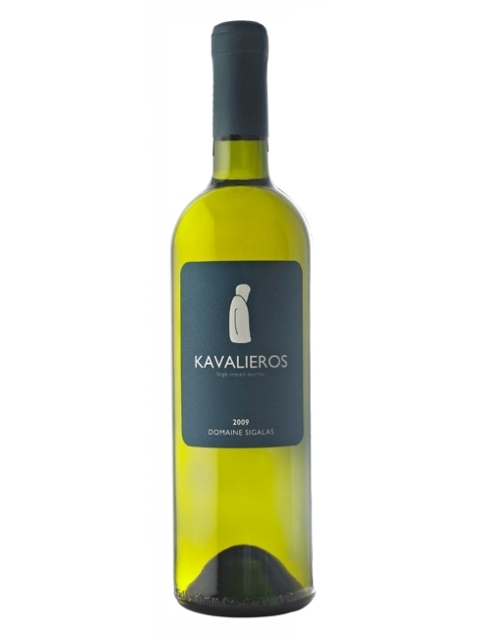 "Kavalieros" is an intriguing, gastronomic wine to remember. 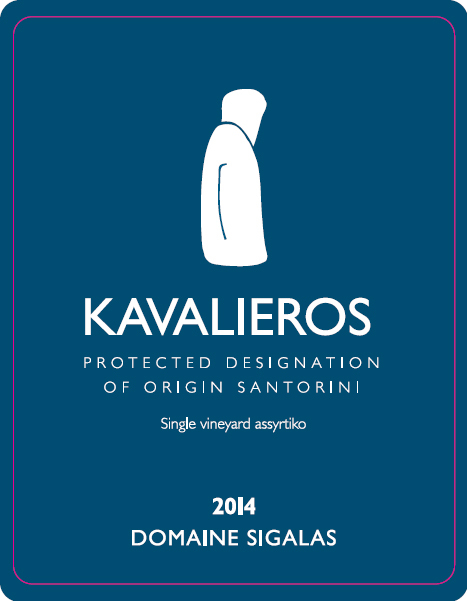 Dry, high acidity, medium (+) alcohol, medium (+) body. Μedium (+) flavor intensity with flavor characteristics reminiscent of citrus fruits, peach, minerality, saltiness and yeast. Long finish.